The BYO Wireless story keeps getting weirder and weirder. First BYO shut down new activations nearly two months ago, telling potential customers that the shut down was temporary and was because BYO was being merged into Budget Mobile, the Lifeline provider that has always owned BYO. Then, a week ago many BYO customers got emails confirming that their accounts were being transferred to Budget effective Sept 1. The emails also said that their BYO plans would not be grandfathered and that they would need to switch to a new Budget plan. Not only were the new plans offered generally worse than than current BYO plans, but the plans varied depending on which state the customer was in. Yesterday several customers, including some who had previously received emails saying they were being switched to Budget, got new emails saying their accounts would be transferred to Selectel Wireless. BYO offers both T-Mobile and Verizon based service but Selectel is Verizon only. At least one BYO T-Mobile customer got the email saying they were being switched to Selectel, in spite of the fact that their GSM phone would not work on Verizon's CDMA network. A user who contacted Selectel was also told that their BYO account balances would not be transferred to Selectel. If that's the case I hope BYO is planning to issue refunds to affected customers. Update 8/31 9:10 AM PDT: I just spoke to a BYO Wireless customer support representative who confirmed that effective tomorrow Sept 1, all BYO customer accounts will be migrated to either Budget Mobile or Selectel Wireless. Customers in the states where Budget offers Lifeline service: Arizona, Arkansas, California, Colorado, Georgia, Hawaii, Idaho, Indiana, Iowa, Kansas, Kentucky, Louisiana, Maine, Maryland, Massachusetts, Michigan, Minnesota, Missouri, Nevada, North Dakota, Ohio, Oklahoma, Pennsylvania, Puerto Rico, Rhode Island, South Carolina, South Dakota, Texas, Utah, Washington, West Virginia, Wisconsin and Wyoming are being transferred to BYO's parent company Budget Wireless. BYO customers in all other states will be migrated to Selectel. BYO account balances will be transferred to Budget and Selectel. 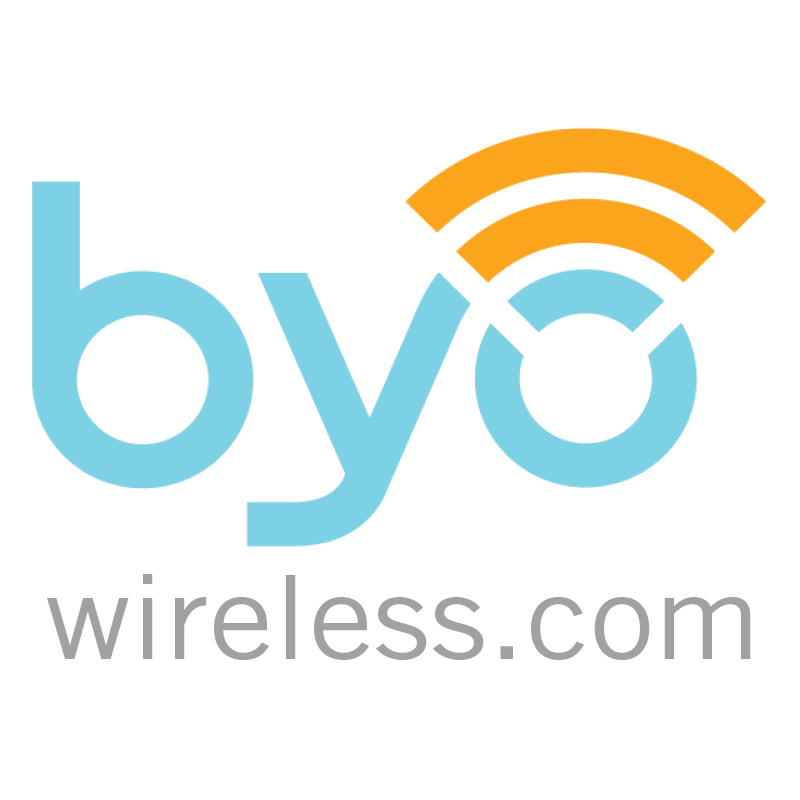 BYO offers both Verizon based CDMA service and T-Mobile based GSM service. Selectel offers only Verizon based CDMA service. For all customers going to Budget and for CDMA customers being transferred to Selectel the transition is supposed to be relatively seamless with no action required on the customers part until their plan comes up for renewal. Because Selectel offers only CDMA service on the Verizon network, customers with T-Mobile based BYO GSM will need to either buy a Verizon compatible phone or port their number to a GSM based service that's compatible with their phone. To port out from BYO you just need your BYO account number which can be found by logging into your BYO accounnt of by calling BYO at 855-801-2969. BYO does not use account passcodes. Update 9/2/15: It looks like Budget revised its plan again is not transferring any accounts, phone numbers or balances to Selectel after all. Customers are reporting that their accounts have been transferred to Budget regardless of what state they are in. Former BYO customers can login at www.budgetmobile.com/account/ to view their account balances and expiration dates and to top-up or change plans. Auto-pay is not available and Budget is not doing new activations or ESN changes. It looks like Budget is just keeping former BYO accounts alive while doing as little as possible to service the accounts. Customers who want to port out should use their new Budget account number, which is shown on their Budget account page, as the account number and the last four digits of their phone number as the passcode for porting purposes. Porting from Budget Verizon to another Verizon MVNO using the same phone is problematic. Because the phone you want to port is active on Budget, most Verizon MVNOs won't let you port using the same device. There are a three work arounds. Because Verizon controls all activations on the Verizon network, Verizon Prepaid or postpaid should be able to do the port using your Budget phone even though it's still active on Budget. If you have another Verizon capable phone you could port your number to the other Verizon MVNO using that phone temporarily which would close your Budget account releasing the Budget phone. Then you could could do an ESN change with your new operator to replace the temporary phone with your preferred one that was on Budget. You could port your number to Google Voice or Ring.to which would release your Budget phone. Then activate the Budget phone on a new operator with a new number and then either port or forward your Ring.to or Goggle Voice number (your former Budget number) to your new number . Another very good reason not to use a mvno. Who knows who has your account info now. Target has more info on you than a MVNO. MVNOs typically have your number, name, and address. Some won't even keep track of your calls. You go with one the Big 4, you're giving up your social security number -- there's a reason not to go with a postpaid. Yea but Target won't transfer your account to Bestbuy and Walmart if they shut down. Budget Mobile does not serve every state, so this seems logical. Budget Mobiles' heart and soul always has and always will be with Verizon as an MVNO provider. Therefor they are offering Selectel as an option for previous BYO customers in states that Budget Mobile doesn't offer service as a Lifeline Provider. Gotta try and keep Big Red happy. I might be nuts but it sounds like budget is somehow trying to offer service to non-Lifeline customers and still get state subsidies for these full price plans. Does this mean Budget is dropping T Mobile service? I don't think so. Budget told me last week that both Verizon and T-Mobile service would still be available. I wouldn't say all mvnos are bad. The new crop of them popping up like crazy and going out of business just as fast gives a really bad impression on more of the older stable ones like but not limited to Red Pocket, H20, Air Voice, Ptel , and a handful of others. There are some newer ones that seem to be doing well like Ultra, Selectel, Real, Eco and others. But with the price gap between brand name prepaid products, postpaid products and prepaid division products all owned by the Big Four and /or Tracfone, the independents are definitely under a lot more stress then before. Florida. Screen cap of the top up options on Budget Mobile. I was migrated today. I see the same page but I have been told I am being moved to Selectel. I am wondering how they determine what state you reside in. Phone #? Billing address? Address on file? I got the Selectel switch email but I am going to try to change my billing info to see if I can keep my plan with Budget instead of Selectel. Forgot to add that I am a GSM customer. @ Dennis, It is impossible for them to transfer balances to Selectel, so this information is incorrect. Users have posted on HoFo that BYO is not transferring anything owed to a BYO user to Selectel. I think you need to get back on the phone and follow up on all this. Why do you think it's impossible? Customer accounts including liabilities (balances) are transferred between businesses all the time. One HoFo'er was told last week by a Selectel customer service rep that balances would not be transferred. I was told today by a Selectel rep that they would be. Who's right? I don't know and I don't think anyone on HoFo does either. Apparently you can't understand what you are reading here. Dennis never said that balances were being transferred to Selectel. Who cares what users on HoFo say? Besides, according to you, they only confirm what Dennis told us in the article above. I am sorry you have no real perception of the issue, are you even a BYO customer? The reporting on this has been nothing but supposition from the beginning, it has all been conflicting info from from the same C/S reps we all can talk to and those reporting the issues on HoFo. I was frigging told that there is no balance transferred to Selectel by C/S, that you simply have to open a new account with them. It has also been reported that all accounts are good until 9-19 through BYO? I would say the info posted on HoFo by current BYO customers trump what is posted here! Actually I reported that the BYO customer service rep said that balances would be transfered to Selectel. I don't know whether or not that will actually happen however. With all the posts on this issue by BYO subscribers it should be obvious that what ever BYO C/S says needs to be taken with a truck load of salt. You can't even tell what services are offered in the State or area you live in using the Lifeline service, is it T-mobile or Verizon? And they send you some used POS device? Maybe Budget is fly by night after all and just milking the government? Heck, the Government should contract with Ring Plus and save a boat load of taxpayer dollars, at least for those where Sprint works. My 2 cents on all these fly by night MVNO, I would not trust them with a phone number that I value. Budget mobile is not exactly fly by night and BYO was sub of Budget. I imagine BYO just did not pan out, especially a 3G only service with the lack of newer 3G devices. Not everyone knew you could activate TF 3G smart phone devices and even those low end devices were limited. I think Tracfone put the nail in the coffin when they came out with BYOP and then added LTE. I am surprised Red Pocket is still in the game. I think the bigger question is why they can't operate a non lifeline nationwide service in conjunction with the lifeline service? BYO's high end plans were never great. I'm guessing most of their customers chose them for their low cost plans, which isn't something Selectel is known for. I doubt many of their customers will stay with Selectel. Even on Verizon there are cheaper MVNOs to choose from. The closest match now seems to be Page Plus' $12 plan or Puppy's new slate of plans. As for their T-Mobile based customers there's no shortage of low cost MVNOs on T-Mobile and BYO's plans were always overpriced for T-Mobile. if you want to survive with a phone on a prepaid verizon service, well, just give in and go with a verizon mvno that is owned by the tracfone empire. hahahahahaha!!! Somebody mentioned fly by night mvno's. Puppy is a fly by night mvno. Red flags flying all over that mvno. Phone numbers should really be controlled by the government. There are way too many stories of people losing their phone numbers not only because of MVNOs going out of business but also because of service provider mistakes. There's no reason why in 2015 people should be losing their numbers with no way of getting them back. Log into Budget with your BYO log in. This will take you to an account page with your Budget account number (different from BYO). Use this plus that last four of your phone number to port out. I ported out yesterday so, if your information is still with Budget, you can do it too. My email said to get in touch with Selectel and said nothing about Budget Mobile. I called Selectel and they said my CDMA phone would not work and they would be happy to sell me a new one. I hung up and tried to log on to Budget Mobile and it worked. There were all my minutes!! I added $5 top off just to be sure and there it was. So I am with Budget Mobile. I did the same but they later inactivated the account. I made a new one today (9/1) and it seems to have taken. What happened when you added the $5? Did your old balance roll over like it did with BYO with the glitch? My phone stopped working today. They deactivated the account, refused to allow me to port my phone # and even locked the phone up so it can't be activated elsewhere. FCC complaint filed. If you still have an active phone on budget from BYO port out NOW! Interesting, was you account funded past today? If so did they give any explanation why they cut you off? Yes, the account was funded until later this month. They stated I was not in an eligible state, but I am. They refused to allow me to port the number and would not release the phone for use on another carrier. Anyone have any luck with an FCC complaint so far? I am having trouble porting out of Budget Mobile. Won't release the number to Lycamobile. Won't even respond. FCC complaint coming. An FCC complaint will get their attention. I wonder if the issue could be with Lycamobile, they aren't known for customer support or willingness to fix problems. Turned out that Lycamobile had a design problem with their porting system. Lycamobile's computer was formatting my PO Box address incorrectly. I was able to port the number to Ring+ instead, because Ring+ allows you to enter your address yourself. Budget Mobile requires your address to match perfectly. That's the source of some of the problems. OK, I have been on the phone with Budget Mobile (BM-fittingly) all morning to no avail. When I called the 888-777-4007 number, the agents are completely unaware (or so they say) of any former BYO Wireless accounts and, even though they can see the same account page I can, 1, say they can only release a phone if they are in telephone contact with the new provider--good luck with that; they have no intention of releasing a phone they've issued (spend more fruitless time explaining that I owned and provided the unlocked phone); get passed to a supervisor who transfers the call to a Spanish language line or provides a direct line--855-801-2969 that never gets answered! At this point, they refuse to let me even speak to someone about just cancelling the account and 'releasing' my phone. Theft or extortion? Take your pick. I have filed complaints with both the FCC and BBB and encourage any of you (all of you) affected by the incredibly unethical behavior to do the same. That's the only way we'll ever get control of the devices we bought and paid for back. Camille at the customer svc # directed me again to the Spanish line, even after I told her what happened to me before. Maybe they'd take our problems more seriously if more of us called her and asked to discuss our BYO accounts. The only power we have in this situation is numbers. Thanks for the instructions on porting out of Budget Mobile. I used Ring.to and my phone was freed in a few days. Hey Richard, how did you enter a pin for Ring.to? My problem is that Budget is claiming "we have no pins" or "It *might* be the last four of your tel#" (It wasn't, according to T-Mobile). So, I can't port and they say they can't just assign a pin and T-Mo is saying they can't port without it. I see Ring.to needs a pin, too. I don't know what to do in this instance. I was also put on a "corporate/supervisor callback list". They never called back. Lost my phone number since they deactivated the account and wouldn't allow a port out.... terrible terrible people. Anyone whose paid for service was cut off by Budget and who did not receive a refund for the unused portion of their service should file a commplint here: FTC Complaint Assistant. Filing a complaint with the FCC and/or FTC probably won't get you your number back but it could result in fines or sanctions against Budget and send a message to the prepaid industry that messing with customers numbers or service has consequences.